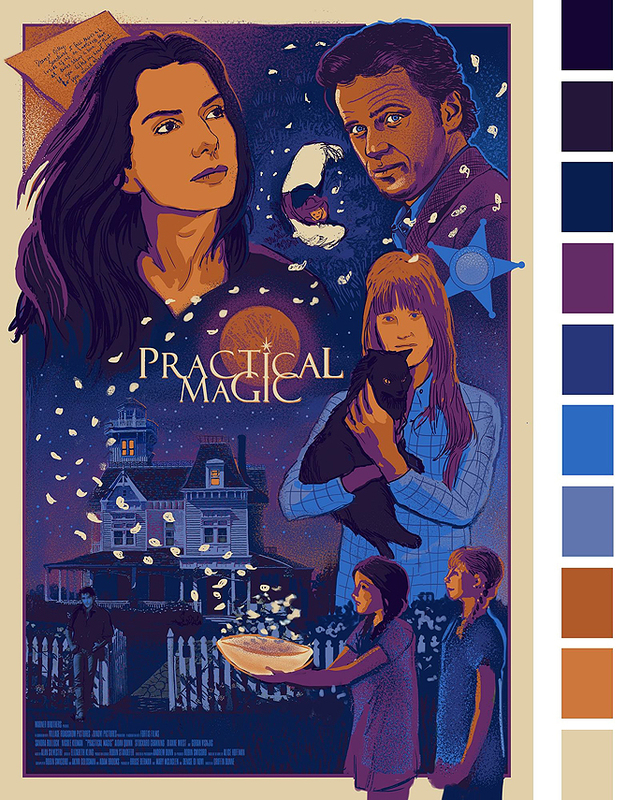 I've returned to working on my 24x36 illustrated poster for Practical Magic (my favorite movie ever). Now that I'm settled on the color palette and the overall composition, next I will move on to the actual drawing phase. I'm excited!